Salsify is primarily grown for its oyster-like flavor. 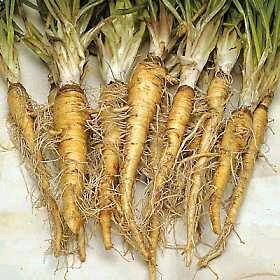 Its fleshy root resembles a slender Parsnip. It is a very hardy vegetable. The tender, broad, grass-like leaves can be used as salad greens. 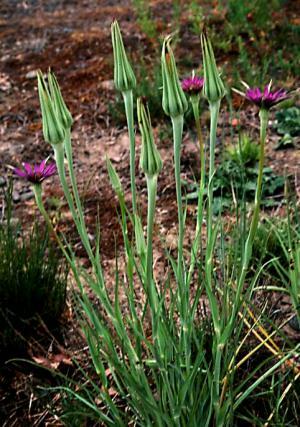 The Salsify is a biennial plant with purple flowers and narrow leaves. Diseases: Root Knot, Soft Rot.